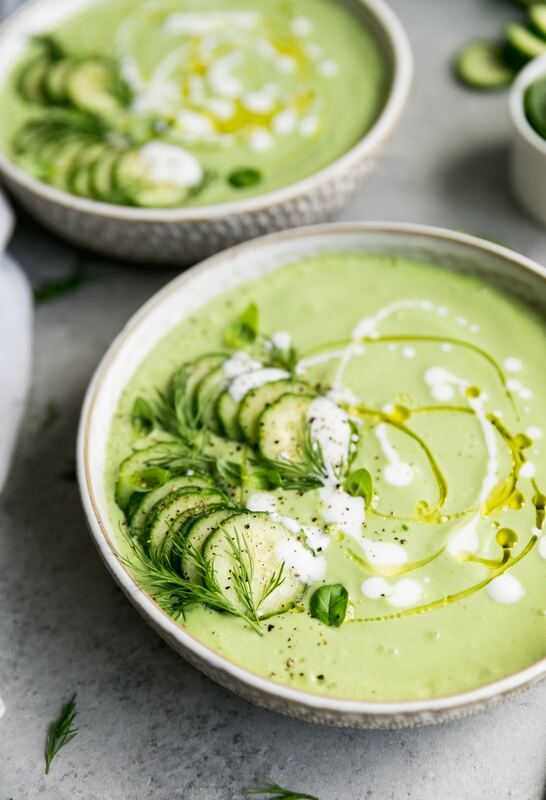 This Green Goddess Gazpacho is filled with cucumber, herbs, scallions, jalapeño for a little kick, and lemon juice! 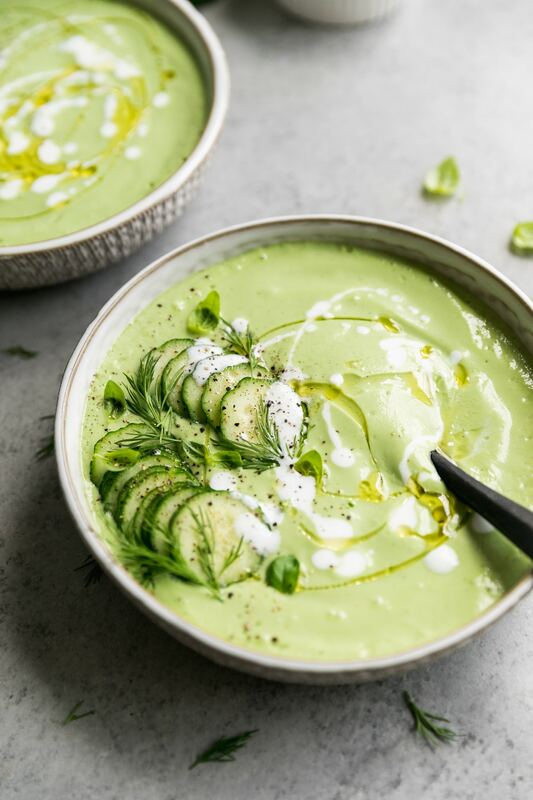 Its thick, luxuriously creamy consistency comes from avocado and Greek yogurt, and it’s the most perfect light and refreshing soup! I’m not much of a soup person, but when it comes to cold, refreshing gazpacho, I’m all in. Especially when the color is this dreamy. Who wouldn’t want to eat this bowl of beauty like this? It’s perfect for Spring, and we FINALLY got some warmer days this weekend. It was glorious. We went from 40 to 80 in the span of a couple days. Typical Maryland. 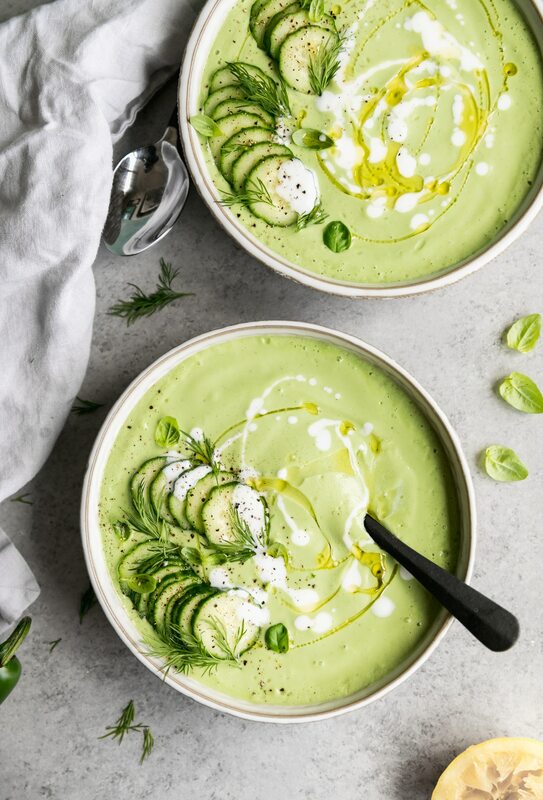 The creaminess in this soup comes from avocado and Greek yogurt. It’s the epitome of spring with the dill, cucumber, lemon, and soft green hue. It’s also perfect for summer because it has basil in it too! It also could not be simpler. 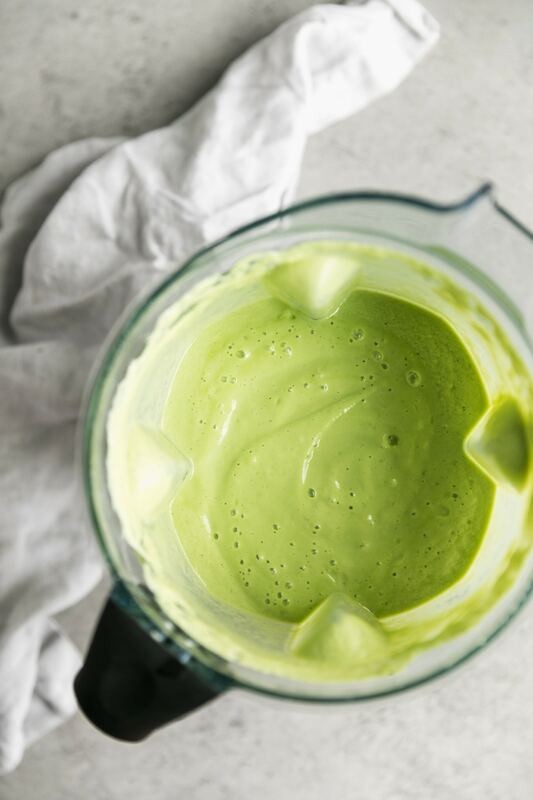 You literally just whirl everything in a blender and that’s it! I love to top it with extra cucumber for some crunch, fresh dill, and a drizzle of olive oil and thinned out Greek yogurt. I think it’s almost too pretty to eat. Almost. If you wanted to make this vegan, you could totally sub dairy free yogurt, and it would work. It may not be quite as thick because I used Greek yogurt, but it should be just as delicious! This would be perfect for a spring brunch with your girlfriends, or a light lunch or dinner. 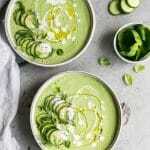 I wasn’t sure how long this would keep in the fridge, because of the avocado, and I wasn’t sure how the cucumber would hold up in the soup, but I ate it for a week and it was still delicious on the 7th day! So you could totally make this ahead of time and keep it in the fridge! I absolutely love having easy lunches prepped during the week, because I can just go to the fridge and eat when I’m ready. 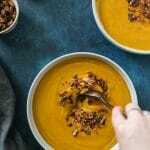 This soup is SO perfect for that, and I’ve been really into making hearty chopped salads that are already dressed, so I don’t have to chop a million veggies and assemble a salad when I am HANGRY for lunch. You know? I am SO incredibly excited for Spring. Can you tell? I promise I’ll stop talking your ear off about it. Also, this is perfect for Meatless Monday! 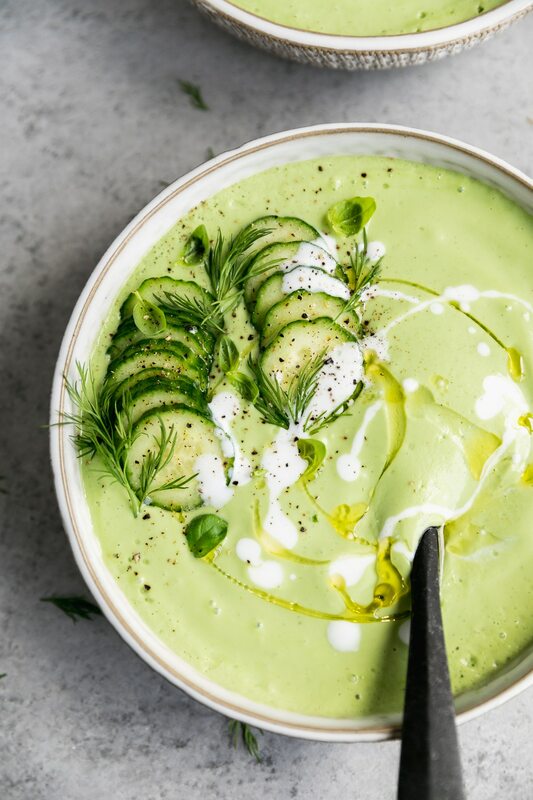 This Green Goddess Gazpacho is filled with cucumber, herbs, scallions, jalapeño for a little kick, and lemon juice! 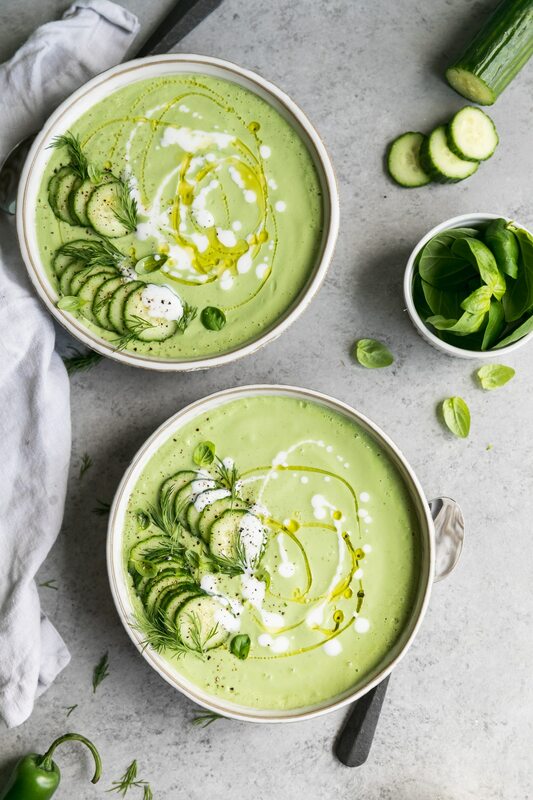 Its thick, luxuriously creamy consistency comes from avocado and Greek yogurt, and it's the most perfect light and refreshing soup! 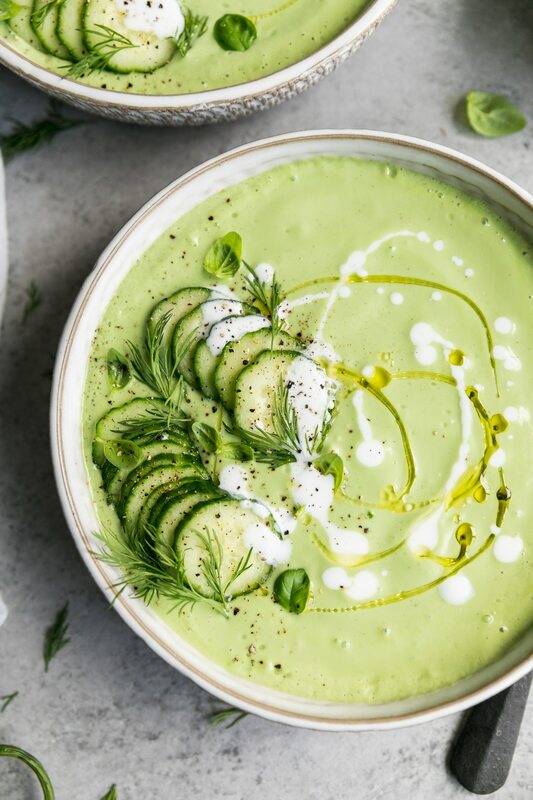 Combine cucumbers, Greek yogurt, avocado, lemon zest, lemon juice, garlic, scallions, dill, basil, jalapeño, olive oil, and apple cider vinegar in a high powered blender. Blend until smooth and creamy. Season to taste with salt and pepper, and blend again to combine. Chill for at least 4 hours or overnight. 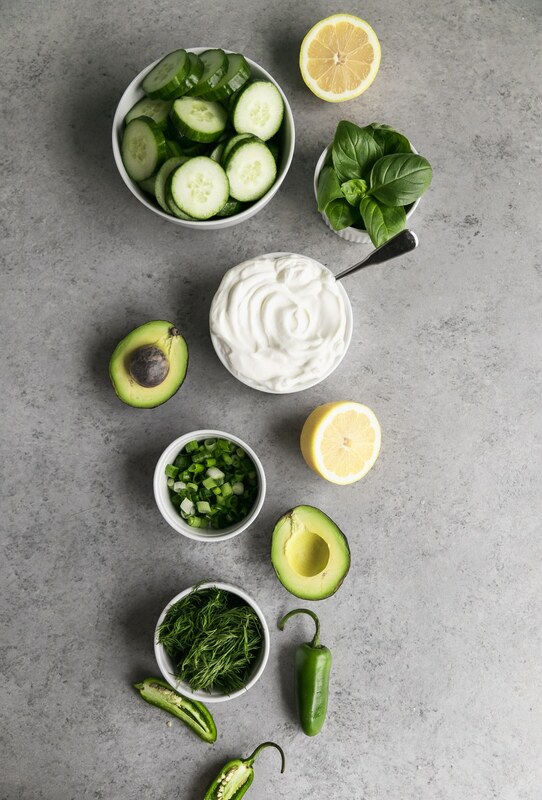 To serve, top with thinly sliced cucumber, chopped fresh dill, a drizzle of extra virgin olive oil, and a drizzle of thinned Greek yogurt or half and half. Serve immediately! *To thin out my Greek yogurt, I just mix it with a little water or milk until it's pourable! Wow! This sounds SO clean and SO fresh and SO springy! Can’t wait to try it! 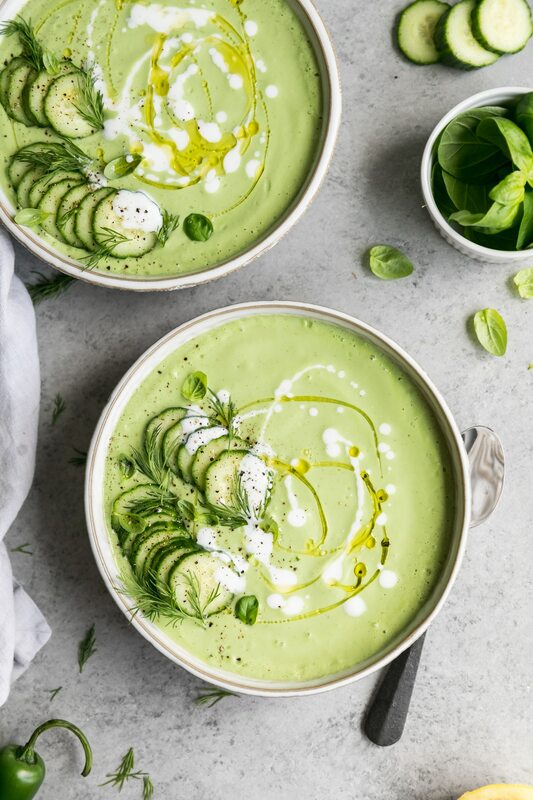 Do you think coconut cream would work in this soup as a sub for the Greek yogurt? Yes, it should! A friend of mine used soaked cashews and coconut milk and she said those worked as well. The coconut cream should definitely work! So next time I’m chilling it overnight and serving it with cold shrimp garnish. I made this tonight – wanting something light. I honestly didn’t think my “meat and potatoes” husband would even try it. Well he did, and thought it was amazing(and proceeded to eat a very large bowl! So fresh and light! Loved all the different flavors!! Thank you so much Erin!! That makes me so happy! !